NY: Conde Nast, 1998. Book. Very Good +. Magazine. 256 pp. on glossy stock. Light wear, thumbed, a few corner creases. Cover story by David McClintick shows interior of Sinatra's Palm Springs compound. 10-page color spread. Other features include a look at Moere-Numa Park, designed by Isamu Noguchi; Author David Guterson's nostalgia for his boyhood in Seattle; feature on Warsaw palace restorations; a tour of the polo plantation owned by developer Neil Hirsch in Wellington, Fl. ; guide to antique hunting in Westchester County and adjacent Connecticut. Size: 4to -- 11 in Tall. Boston: Tuttle Publishing, 2000. Book. Fine. Cloth. First Edition.. 208 pp., index, bibliography. 200+ photos; many full-page color photos. 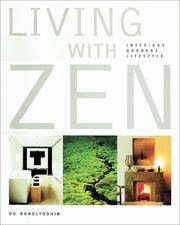 Guidance for designing a simple, minimalist personal environment according to Zen principles. Covering such topics as work spaces, bedrooms, nature brought indoors, use of bamboo, leaves, wood, liberation from clutter, fusion of East and West design concepts. Size: 4to -- 12 in Tall. NY: Bonanza Books, 1957. Book. Good +. Cloth. Reprint.. 246 pp., with b&w photos and line drawings. Some rubbing on edges and corner of orange cloth cover. Dust jacket moderately rubbed and tattered along creases. An encyclopedic alphabetized reference listing important cabinetmakers, and their locations, many of them from 17th and 18th centuries, Most entries have 50 to 200 words of biographical information. More important ones have one to two full pages of material. Sketches provide details of their characteristic styles. Size: 4th -- 10.5 In. Tall. NY: Praeger Publishers, 1973. Book. Near Fine. Cloth. Reprint.. 246 pp. Close to new, slight rubbing on corners of jacket. Text clean. Detailed survey of pewter found in American homes since colonial times. Includes technical chapters on how it's made. Numerous b&w photos showing examples, markings, etc. Many are taken from the collection of Winterthur, the DuPont estate that is now a museum. Author is a Yale art professor and former director of Winterthur. Besides a catalog of Winterthur's holdings, it includes a list of other important pewter collections in the U.S. Index, bibliography, instructions on cleaning pewter. Note: The guide does not attempt to assign values or track recent sales. Size: 4to-- 10 in Tall. NY: McBride Co., 1957. Book. Good +. Cloth and Boards. Firsrt Edition.. 128 pp. plus 123 b&w glossy photos of various antiques. Bibliography, index. Wear on spine edges, corners rubbed, bottom end has rubbed spot. Text clean, no marking. Light foxing, mainly on endpapers. A layman's guide to broad categories of antiques, primarily those common in American households, ranging from furniture to china, paintings, silver and candlesticks. Based on a syndicated newspaper column. Lots of tidbits of trivia about the history of antiques. Size: 4to --10 In Tall. Williamsburg Va.: Craft House/Colonial Williamsburg Foundation, 1971. Book. Very Good +. Stiff Wraps. Later Printing.. 201 pp on heavy stock. Many color photos and b&w drawings. Chocolate brown stiff wraps, with Williamsburg manufacturing mark embossed on front cover. Very lightly read, light thumbing. Text clean. 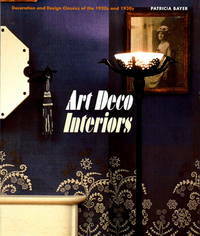 More than just a catalog, this is a useful reference book for identifying various furrniture styles and decorative motifs. Introduction gives the background of the Williamsburg restoration project, and a brief overview of the town's coloial history, including its role as capital of colonial Virginia for 80 years. Size: 4to -- 11 in Tall. Ny: Alfred a Knopf Inc, 1982. Book. Very Good. Trade Paperback. 1st Paperback Edition. 8vo -- 8.25 in Tall By 4.25 in Wide. 334 pp. plus about 50 pp of appendix matter (price guide, glossary, bibliography etc.) Many color photos and b&w detail sketches. A comprehensive guide to main styles of American furntiture, from 1600s onward to Mission and Art Deco styles. Also includes miscellaneous items such as hall trees , mirrors and vanity tables. Part of the Knopf Collectors' Guides to American Antiques. Foldout DJ with chipping and tears covers stiff wraps. 8vo -- 8.25 in Tall By 4.25 in Wide. NY: Conde Nast Publications, 2009. Book. Very Good +. Magazine. 4to -- 10.75 in Tall. 150 pp. on glossy stock. Many color photos. Over story is about actor Brad Pitt's project to build affordable stilt ousing in hurricane ravaged section of New Orleans. Other articles: NYC townhouse designed by Samuel Botero; Coastal home in Aptos, Northern California, designed by Ehrlich Architects; the Avasi adobe hotel in Chile's Atacama desert; Ed Tuttle's Thai beach house..
New York: Bonanza Books, 1981. Book. Near Fine. Cloth. 8th Printing. 12mo -- 7.25 in Tall. 383 pp. Nearly new, text lightly toned. Slight ding to dj edge. Light edge wear to spine. Gilt titling on brown cloth. Text clean, no markings. Numerous line drawings, plus glossary, reading list, picture index. bibliography. A folksy guide to finding and identifying worthwhile country furniture at auctions, antique shops, junk shops. Pointers for bidding..
NY: Conde Nast Publications, 2007. Book. Very Good +. Magazine. 314 pp. on glossy stock. Many color photos. Theme of the issue is a tour of the homes of several designers. The homes featured and their locations are those of Campion Platt, New York's SoHo; Lee F. Mindel, NY Hamptons; Stephen Knollenberg, Douglas, Mich.; Bernard Wharton, Rhode Island's Narragansett Bay; Jacques Grange, Paris; Sandra Nunnerly, New York's Upper East Side; David Hovey, Winnetka, Ill.; S. Marc Thee, Miami; Juan Pablo Molyneux, Paris; Dean Marchetto, New York Catskills; Juan Montoya, Paris; and Suzanne Lovell, Chicago. Size: 4to - -10.75 in Tall. Mount Vernon, Va.: MVLA, 1964. Book. Very Good +. Trade Paperback. First Edition.. 114 pp. Lightly used, Stiff wraps with color photo of Mount Vernon, long view. Maps on endpapers. Numerous color photos of art and furniture at Mount Vernon. Detailed history of how the estate passed through the generations and eventually was preserved. Washington's mansion was an important center of national life in the Revolutionary and Federalist eras. Size: 8vo -- 9 in Tall. Des Moines, Iowa: Meredith Corp., 1985. Book. Fine. Glossy Boards. 3rd Printing. 4to -- 11 in Tall. 320 pp. of glossy stock. Color photos throughout. A sampling of several different country homes and various furniture styles that fall into the "country" category. 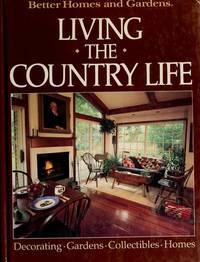 Includes a chapter on country gardens..
Boston: Little Brown & Co., 1989. Book. Good +. Trade Paperback. 13th Printing. 4vo -- 10.75 in Tall. 181 pp., light to moderate wear, several pages with dog-eared creases. Text clean. Binding firm, spine uncreased. Price stickers on front cover. A do-it-yourself guide to furniture projects. Companion the the PBS television series..
NY: HarperCollins, 2000. Book. Fine. Glossy Colored photo Boards. Reprint. 4to -- 11 in Tall. 176 pp. on coated stock, color photos throughout. Close to new, no markings. A guide to creating and equipping a home office or work space. 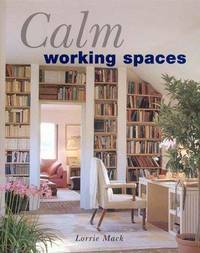 The author emphasizes a home office should be carefully designed so that it's not just a junk room. The book was first published in the United Kingdom by Marshall Publications Ltd..